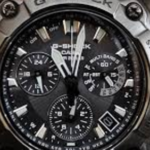 G-shock watch battery replacement from the experts at Watch Gnome. Trust your watch to a team that handles thousands of watches a year. Watch Gnome is America’s #1 online watch battery replacement service. Save time and money by ordering your watch battery replacement service online and get your G-shock watch battery replaced in about a week without leaving the house. Place and Mail: Just place your Gshock watch in our secure watch box, and affix the USPS first class label to the outside of the box and drop with any post office, carrier or mailbox. We Handle the Battery: When we get your watch, we’ll first inspect and celan your watch. We’ll open the case and replace your battery with a fresh battery (American-made Energizer whenever possible). We then clean your watch inside and out and prepare it for return shipping. Right back to you: We’ll pack your watch up and return it directly to you. The battery service often takes just 1 business day, so it will be in the mail back to you before you know it. The G-shock line of watches was introduced by Casio in 1983. With a very specific purpose, the watches were designed to fill an unmet need in the market for a ultra-functional high impact resistant watch. 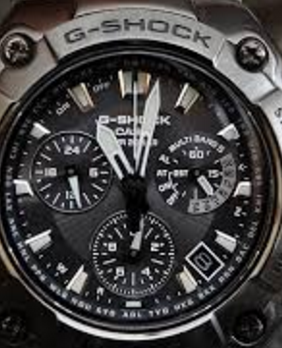 To this day, G-shock watches are all made with a power of 10 rule. They are designed and made with 10 protective elements harboring the quartz movement. The watches are designed to withstand watch resistance to 10 atmospheres, survive a 10 meter fall and have a 10 year battery life. The 10 protective elements are all designed to make the most affordable and functional watches on the market. Common features of the watches include, stainless steel cases, durable rubber bumpers, hardened mineral glass and most importantly and revolutionary, a floating bumper inside the watch. The movement of the watch is not fixed to the inside of the watch case, but rather “floats” within the frame of the watch. This floating design helps maintain the gshock impact resistance. With over 34 years of service G-shock has maintained its position as an industry leader in watch impact resistance and durability.